CCTV has become popular among home owners and businesses in Leeds and across the UK, as a means of protecting your property and possessions from burglars, criminals and vandals. Having a visible CCTV system Installed by Dale Communications Leeds on the outside of your home or premises, will reduce the incidence of crime and give you peace of mind that your home or business is better protected. We have a full range of cameras ranging from covert cameras to night vision cameras. Number plate recognition cameras, IP systems, DVR recorders from 250GB TO 4TB recording space. Dale Communications Leeds have designed a variety of CCTV packages that have been specifically created to offer you a range of cost effective and reliable security options for your home or business in Leeds or throughout the UK. Whether you have a small/large home or retail shop, public house, night club, warehouse or industrial estate Dale Communications can provide a CCTV solution to suit your budget and specific requirements, whilst giving you complete peace of mind. 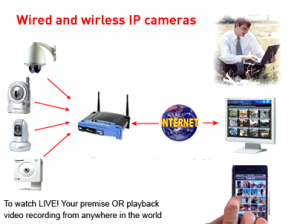 IP CCTV – Greater Flexibility. IP based cameras are the future. They work by turning images and audio into data then transmitting this data over a network or Internet connection. The ultimate benefit of this over analogue CCTV systems is greater flexibility, better performance and easier installation. Whilst IP CCTV has been available for around 10 years, it is only in the last few years that the technology has matured, leading to the developments in Megapixel IP cameras. Read below for a summary on the benefits of using IP based systems over traditional analogue systems. IP CCTV systems do not require local recording, they can transmit their images across Local Networks, the Internet and Wide Area Networks to a central location, where they can be recorded, viewed and managed. 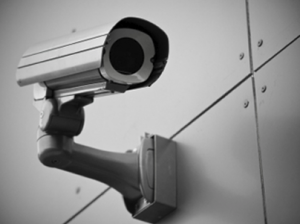 An analogue CCTV system is designed to record security cameras locally only. This means that if you have 2 or more premises, then each will require a Recording Device, this makes managing larger systems harder and not very cost effective. Affiliated sponsors of Leeds Rhinos.